Make an offer soon and choose your own hard surfaces: countertops, backsplash, all flooring, tile, and more! The brand new 3282 plan on home site 38 is sure to suit all your needs. This home features 5 bedrooms, an upstairs loft, a fully finished basement with wet bar, and 3.75 baths, including one bedroom and a 3/4 bath on the main level, and one bedroom with full bath in the basement. The open main level is filled with natural light from the oversized windows. The great room is open to both the dining area and the kitchen with a generous island. Upstairs you'll find the utility room and 3 additional bedrooms, including the luxurious master suite. Full landscaping and fencing, wrought iron stair railing, and more are also included at Bandon Estates! Visit today! 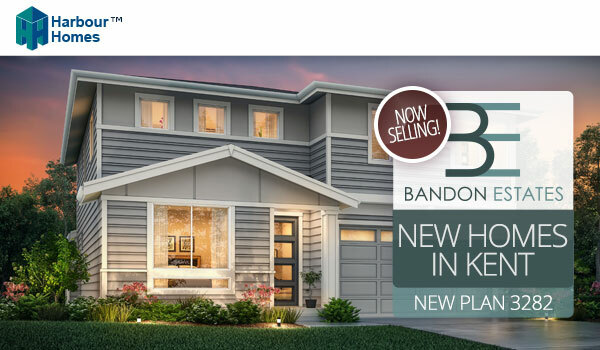 Bandon Estates II is a 43 home community that offers six different floor plans ranging from 2,101 to 3,282 square feet. The homes feature 4-5 bedrooms with many offering a main floor bedroom and a 3/4 bath. Additional highlights include a community park, standard fencing, and spacious master suites. For more information contact Doug today.